In the late 80s, I worked at a major concert venue in Los Angeles.It was one of the most exciting jobs of my life. I saw free concerts. I had an employee ID card that gave me total backstage access any time I wanted. And on any given night, I might be at one of the after concert parties they used to throw on the back patio of the venue, where I would see Don Henley talking quietly with his girlfriend by the stage door, or trying not to freak out because I was standing next to Jack Nicholson by the buffet table, or waiting patiently for my turn at the bar behind the members of Fine Young Cannibals (Hey, I told you it was the 80s). But after a few months of this, it became very clear that it was a not a very nice place. And it was filled, for the most part, with some not very nice people. So one morning I left my letter of resignation on my boss’ desk, walked out the door, and never looked back. It was the only time in my life that I’ve ever walked out on a job with no notice. In retrospect, I recognize that part of the problem was that everyone started taking what was, admittedly, a pretty amazing lifestyle for granted. The incomprehensible perks they were getting became their new “normal,” and they simply got used to them. As an example of the rampant entitlement, I remember being thrilled that I was able to request free tickets to the concerts, but was stunned to hear other employees (who got tickets to the very same concerts I did) griping that their seats weren’t front row. In short, they’d forgotten how to be grateful. Without question, we all have tons to be grateful for. But while we might find it easy enough to be grateful for something as extreme as free concert tickets (or having Dyan Cannon wink at you from the couch across the green room, but that’s another story), I want to remind you in this week of Thanksgiving that we should not forget to be grateful for the basics. Do you have clean water? . . . Some don’t. Do you have food? . . .Some don’t. Do you have clothes that fit and smell nice? . .Some don’t. Do you have a reasonable handle on your health? . . .Some don’t. Do you have a job? . . .If you’re reading this, you probably do, but some don’t. It’s so easy—and I do it myself, of course—to take these basics for granted. They are there every day and they are part of our routine and our “normal” life. Consequently, we often forget to give thanks for them. 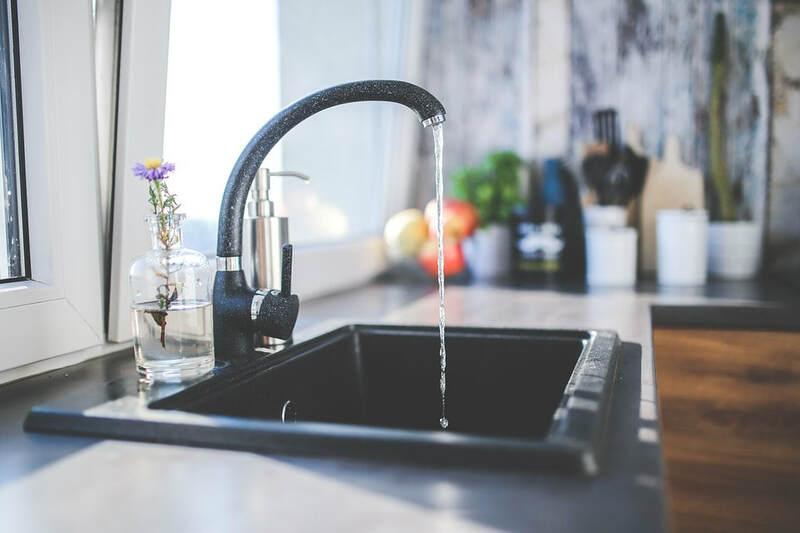 Breathe in and simply marvel at the design, engineering, construction feat that made it possible for that flowing liquid to make its way right into your house. Truth is, you are probably related to someone who had to walk quite a distance to get their water from a well just to cook his or her dinner. And look at us, with all that water right at our fingertips. It’s all really quite magical when you think about it. So whatever your typical gratitude ritual looks like, remember this week to include the basics: good food, clean water, solid shelter, reasonable health.